It appears to me that sometimes the official site can be more of a hinderance to Arsene Wenger and his team than a help. Take yesterday for example. Many Gooners I know and speak to online were quite happy with the manager's quotes from his French radio interview on Monday night. They seemed positive, upbeat about what Wenger had to say. Then yesterday evening all hell broke lose. Arsenal.com had released a video interview recorded with Arsene Wenger TWO WEEKS earlier about the club's performance in the Premier League last season. The interview was spotted by the Press Association who transcribed Wenger's quotes and released an article to their customers at 4pm. After that Mirror Football and Mail Online started running the story. Unfortunately the reaction to what the manager had said wasn't good. Unsurprisingly so in fact. "The criticism has been sharper this year because of the impatience of people. 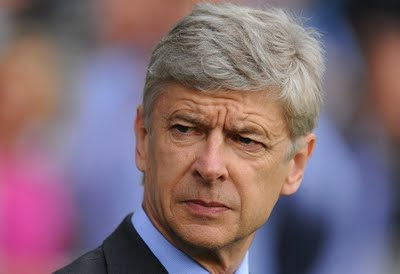 People are used to us being in the Champions League so we have to give them more, but we're not capable of doing that. "People love what we do but they want us to be rewarded so that they can be convinced we do things the right way. They want proof that we do things the right way. "For our fans the frustration was that we were so close to convincing everybody of how football can be great, but in the end not being able to deliver. "I would call it disappointed love. It was cruel and sometimes you get excessive responses to that. I share that and understand it. "But that doesn't mean we have to change our philosophy or the way the club is run." Are Gooners impatient? I don't think we have been in the past. We've understood there would be a period when we had to adjust to moving into our new stadium which might mean we wouldn't be challenging for trophies. What I think we have been impatient about is the manager's inability to discover the root cause of what is wrong with his teams. For the last few seasons we've been getting ourselves into positions where we are within fighting distance of winning the league. But then we fall down. Collapse. Never recover. And this has led to the frustration among fans who so desperately want this team to succeed and above all else Arsene Wenger being rewarded for being the man to take this club on a different journey developing players and bringing them through the ranks rather than splashing millions of pounds in the transfer market. Unfortunately for him, it hasn't worked and there are serious problems with this team if history keeps repeating itself. Perhaps we're all so frustrated because this man, Arsene Wenger, a genius who has brought us the best football we've ever watched, cannot seem to put his finger on what is wrong with our team. And whilst I agree with him our philosophy doesn't need to be completely changed, I do think it needs to be altered. We need to bring in some new experienced players. One of Wenger's mistakes was to cut lose players who had experience of winning things and rely too much on youth. That hasn't worked and it's visible to all. "We get it 95 per cent right, but we must gain that five per cent because it's so frustrating to flirt with success like we have done. "The fans are unhappy that we didn't win the Premier League, but we are close. "In 2003 we were also the best away team, but didn't win. We kept going and in 2004 we were very strong." Winning two out of your last 11 league games was never going to win us the title and in the end we were no where near winning it. Twelve points behind the champions. It's not good enough when you consider the position we were in. The manager goes on to talk about adding variety to the height in our team, more of which you can read in The Guardian. Quite understandably there has been a backlash against the manager's comments. If they had been released the week after the season ended there wouldn't be such the anger there is leveled at the boss. But why has the official site released that interview now? Are they really not in touch with how the fans feel? It really feels like the official site have helped heap more pressure on the manager when it was completely unnecessary. Another Gooner who is suffering is Thierry Henry. "When you play for Arsenal there is always criticism. But I feel like any other fan. I’m like the rest of the team right now, I’m suffering. "But we have to help and believe in that team. They had the potential to win this season, they've always been so close to winning but sometimes fall short. "I think the team can do it and I hope that the boss [Wenger] stays because he is a very important person right there for that organisation." There seems to be a William Gallas / Samir Nasri situation developing in the Cameroon camp between captain Samual Eto'o and Alex Song. Reports from Africa suggest Song didn't shake Eto'o hand and then proceeded to sit in his seat at the dinner table. It then appears that rather be banished from the team's camp, Song picked up an injury which forced him to withdraw from his country's match with Senegal on Saturday. All seems very convenient. However if it means Song doesn't have to play in the African Cup of Nations this winter I'd be happy. We certainly need him available for Arsenal during that period than being away for six weeks of the season with his country. Let's finish off with some transfer rumours. We're linked with a move for Argentina international Gonzalo Higuain, who the Daily Mail think is surplus to requirements at Real Madrid. Is that because they're under the impression Karim Benzema won't be sold? Over in the Daily Mirror we're being linked with Wigan's James McCarthy. According to them the 20-year-old midfielder is being tracked by Liverpool, Chelsea along with us. Do we really need another young midfielder? According to French radio station RMC, Roma are looking to sign Gael Clichy and could use his France international colleague Jeremy Menez as part of a deal to sign the Arsenal defender. Menez is 24-years-old and a midfielder. And the summer's most perennial transfer story hits the web with the news Gianluigi Buffon won't be moving to north London after signing on for more punishment at Juventus according to The Sun. It's nice to get that one out of the way so early into the closed season.